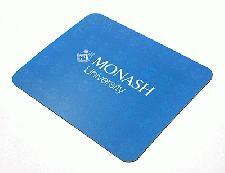 Improve your popularity and brand awareness by giving away our Printable Mouse Mats from Calendar Lady Promotions. Simply choose the colours and sizes and we'll see to the printing of your business details and company logo. Promote your business on our Printable Mouse Mats from Calendar lady Promotions today..
To find out more about our Printable Mouse Mats click here and fill in the contact form and we'll be in touch. Other promotional and personalised items besides our Printable Mouse Mats click here to view our entire range.